THIS SATURDAY the 23rd of March! ALL WELCOME!! 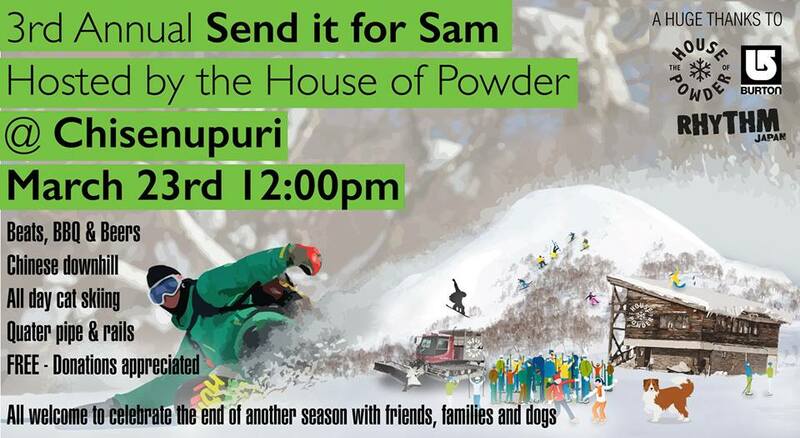 March 23rd ~ Send it for Sam; a rad day out at Chise. Tunes, bbq, Chinese downhill carnage, rail and quarter pipe to session. All welcome! BYO beers and anything you want to fry up. Thanks to Clayton Kernaghan and his staff, Justin Graves, Djan Aston and the Rhythm crew,Chris Holmes Glen Claydon and everyone else for helping to put this together. 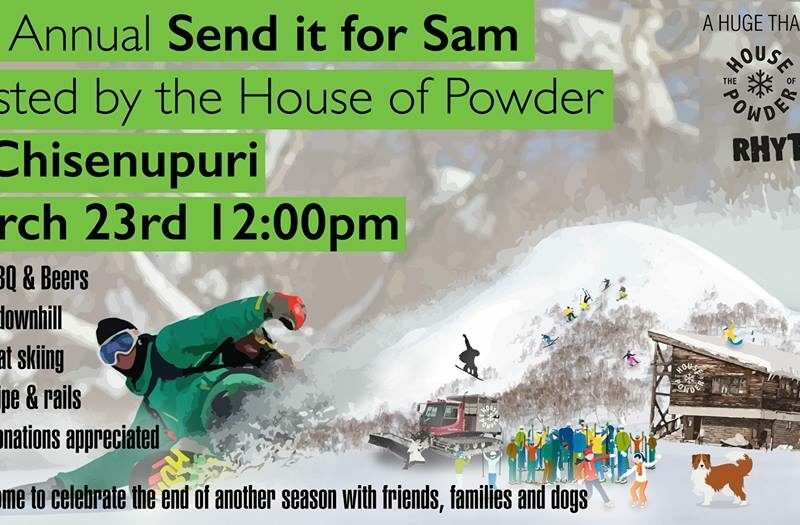 Just 2 days to go until the Send it for Sam cat party at The House of Powder For those of you who don’t know Sam was a local frother, amazing father, husband, guide and business owner. Our hearts may still be heavy but “Ren Dawg” would not abide. Sam epitomized enjoying life to the fullest and why we have all chosen to live in Niseko, so let’s CELEBRATE the LEGEND or REN! We will provide the BBQ and the tunes. BYOB, food to cook and a chair for chillin. Chinese Downhill at around 1:30pm. Quarter pipe and rail contest after that. Party officially starts at 12:00pm but there will be FREE CAT SKIING from 10:00am!! All we ask for is a donation to a great cause; young Rui’s future education. Suggested donation 5000 yen/adult but it’s really up to you! Last year we raised over 360,000yen, let’s beat the record!! Here’s video from last season by GCP to get you going! See you on (friday) or Saturday! Send it for Sam, 25 March 2018 from 360niseko on Vimeo.